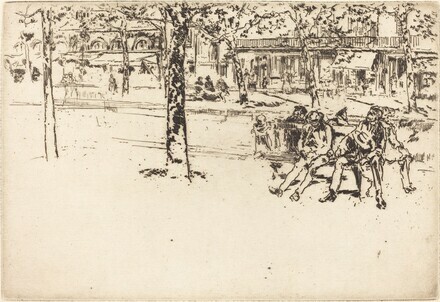 Prints by James McNeill Whistler and His Contemporaries, National Gallery of Art, Washington, 1995, as Boulevard Poissonière. Kennedy, Edward G. The Etched Work of Whistler. New York: Grolier Club, 1910, no. 423.